This game has a terrific theme as it is based around the undead who come to life after they die. This is why the reels of the game are located in a grim and a scary cemetery with thunder and rain sound effects in the background. On top of that, players will see tombstones and fiery skulls as the control panel of the game with mummies and tombstone symbols on the reels. All of this creates the scary ambiance to provide players with a gaming experience that has a grim environment. The game will reward players for their bravery to go through these tombs and the scary experience through winning combos on wining lines as well as a vast selection of special features. Players can place their wagers by going through the betting settings that are found at the bottom. 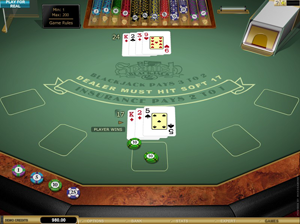 After players choose the stakes they wish to place, they will click on Spin, Auto Spin or Bet Max in order to initiate the game. Players will be paid either through line payouts or special features. Players can find out about the different combos and the special bonuses by clicking on the Paytable button to find all of the details they want to know. The symbols appear in 3 rows of symbols, 5 reels and 9 winning lines. Players will have to get a combination of three, four or five similar symbols on any of the activated winning lines in order to earn a payout. The game pays from the left to right. The WILD symbol is the word WILD that is created by bones. 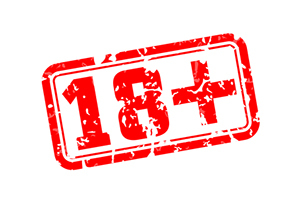 This symbol can replace any of the symbols that appear on the reels of the game to help players in earning a payout by creating a winning combo of symbols. They can also appear in sets of 3 across the reels, it is called the Expanded Wild Symbols feature. So when you see 3 wild symbols covering an entire reel, you know for sure that you will earn handsome rewards. Before each spin commences, a random multiplier will be specified by the game. If you manage to earn anything during the game, the winnings will be multiplied by the randomly set multiplier. The multiplier is triggered randomly and it varies between 1x and 6x. The Golf Ball symbol with the words Click Me is obviously the Click Me bonus symbol. If 3 of these symbols appear on the reels, the Click ME Bonus will be activated. Players will then keep clicking on symbols to earn hidden prizes until the word collect appears, which signals the end of the Click ME bonus game.